What is a Quality Ranking? I earned a Quality Ranking badge, now what? What does it mean to be a PLATINUM filmmaker? Genero introduced Quality Rankings to highlight filmmakers who consistently deliver high quality filmmaking. The criteria listed below show the selections, awards and achievements we use to decide BRONZE, SILVER, GOLD and PLATINUM directors. Your quality ranking will be displayed on your profile along with all of your achievements. 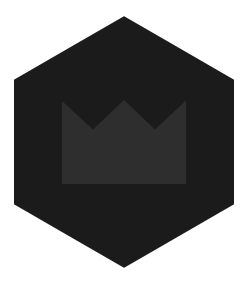 Above BRONZE, SILVER and GOLD, we have a PLATINUM level of filmmakers. A PLATINUM level can be achieved by meeting the criteria listed below, or by receiving an invitation from Genero. PLATINUM filmmakers receive exclusive access to important briefs, jobs, and opportunities. Learn more. From time to time Genero may adjust the Quality Rankings criteria to ensure rankings are useful for both filmmakers and clients. It's possible your ranking may change when this happens; if so we'll contact you to let you know. If you're a high quality filmmaker with proven credentials and a track record in quality and professionalism, you can apply directly to become a PLATINUM filmmaker. You'll receive a badge each time you earn an achievement on Genero. Different thresholds of achievements are what make up your overall Quality Rankings. Your achievements are listed on your profile. A Genero Awards winner or runner up for music video or brand video of the year, or a winner or runner up of Director of the Year. Genero awards Staff Picks to outstanding videos submitted to video projects. Staff Picks are also nominated into the Genero Awards. An officially selected video by a client in a Genero video project. An officially selected runner up video by a client in a Genero video project. A video included in the finalist group for a Genero video project. Treatment/pitch was selected by a client for a video job, and the job was successfully delivered. Sold and re-edited a video for a client on the Genero Video Store. Had a treatment/pitch shortlisted by a client during the review process for a video job brief. It's been our pleasure to watch our filmmakers grow over time and refine their filmmaking chops. 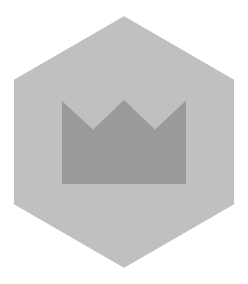 Ultimately we'd love to see you all achieve GOLD or PLATINUM Quality Rankings on Genero. GOLD and PLATINUM filmmakers get access to extended and exclusive opportunities on Genero, so we encourage you to check out the criteria for each ranking and work towards achieving the next rank. We showcase your PLATINUM Quality Ranking and other Achievements on your profile page, and we highlight you as a PLATINUM filmmaker to clients too! Because we put forward our PLATINUM filmmakers to clients and exclusive opportunities we need to make sure we're keeping up with what you're doing. To retain your PLATINUM status you need to stay involved over the next 12 months or you'll drop back to GOLD. Find out how to retain your PLATINUM status.